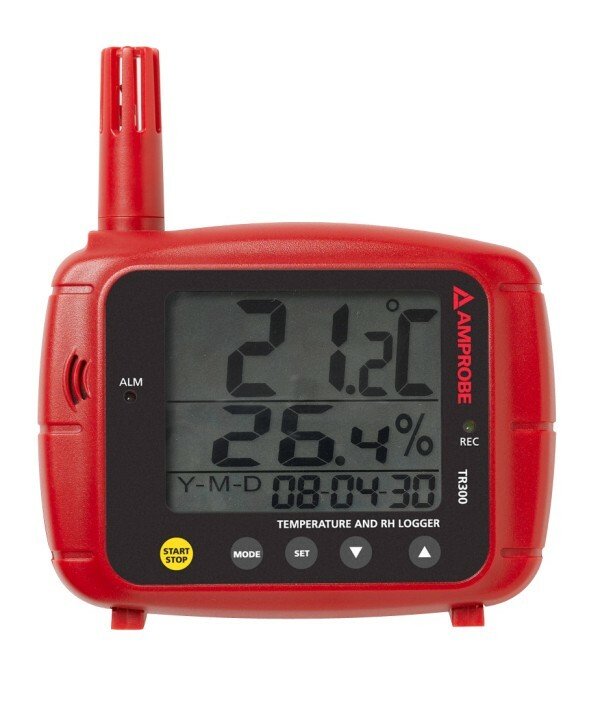 The Amprobe TR300 temperature and humidity data logger is designed to monitor indoor air quality in one compact size unit. The housing includes a wall-mount hook for easy installation. 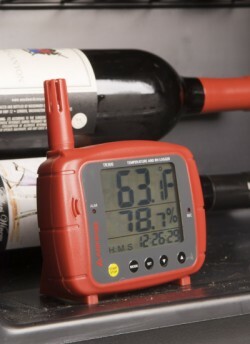 It has a large digital triple display and audible and visible alarms. 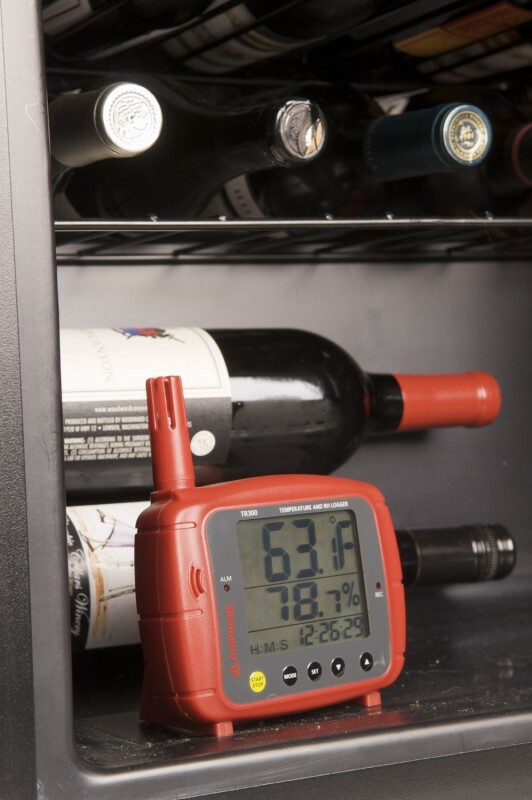 Plus a fast responding sensor and electronics to help monitor the relative humidity and temperature of the indoor air. The TR300 has capacity to store 16,000 readings and ships with the unique Amprobe Download Suite software. 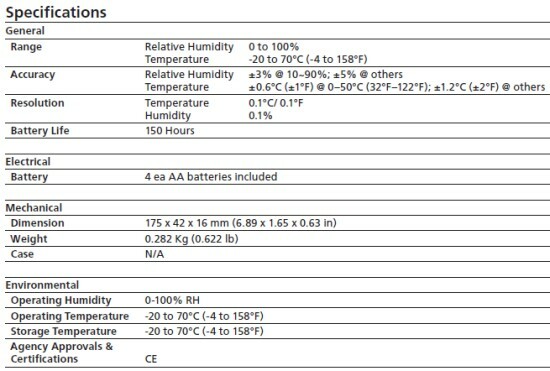 Set up these parameters for recording: Sample interval timing, Start/ Stop, Dare and Time, HI/LO Alarm threshold, Unit Selection and number of Memory points. 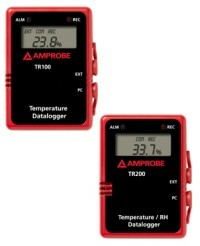 Download Suite software works with all Amprobe devices and stores the data from the TR300 for further analysis.